What are the Gertrudis Foundation’s aims? 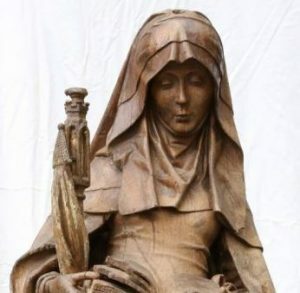 To achieve the funds needed to cover the cost of restoring and conserving the statue of Saint Gertrude (dating from the late 15th century and attributed to the studio of the Borremans sculptors) and other artwork from the three previous Saint Gertrude churches that have stood on Place van Meyel (stained-glass windows, crosses, bells, etc.). 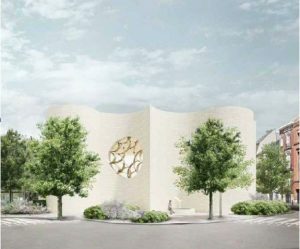 To finance the cost of filling the interior of the new church, which will host the artwork, and any unforeseen costs arising from the construction. The reconstruction of Saint Gertrude’s Church is another chapter in a story that dates back to the 12th and possibly even the 10th century. Although lifestyles have changed radically over the centuries, people’s fundamental needs remain the same: to come together, reflect and be uplifted. Those are just some of the needs that Facebook friends still cannot fulfil. A place of gathering, prayer and meditation, a church provides a response to these fundamental needs. Recognizing their importance, the parish of Saint Gertrude has worked for many years to rebuild its church in a more modest form than the previous version, but especially more modern and able to host cultural events such as (sacred) music concerts and conferences. The project is now on the right track. 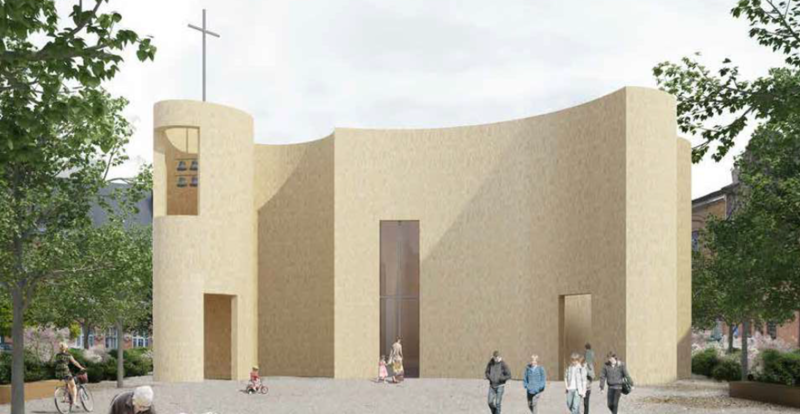 The future of the bells, statue of Saint Gertrude, stained-glass windows and artwork is still uncertain. Stained-glass windows are an invitation to meditation, a statue encourages prayer and bells are a call to come together. Together they make a church sacred. 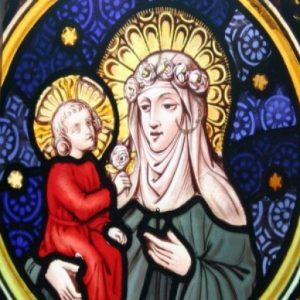 The Gertrudis Foundation needs your support to make the new building a fully functioning place of worship, community, culture and hospitality! All donors will be regularly updated on progress in the fundraising, showing them how their donations are being used.